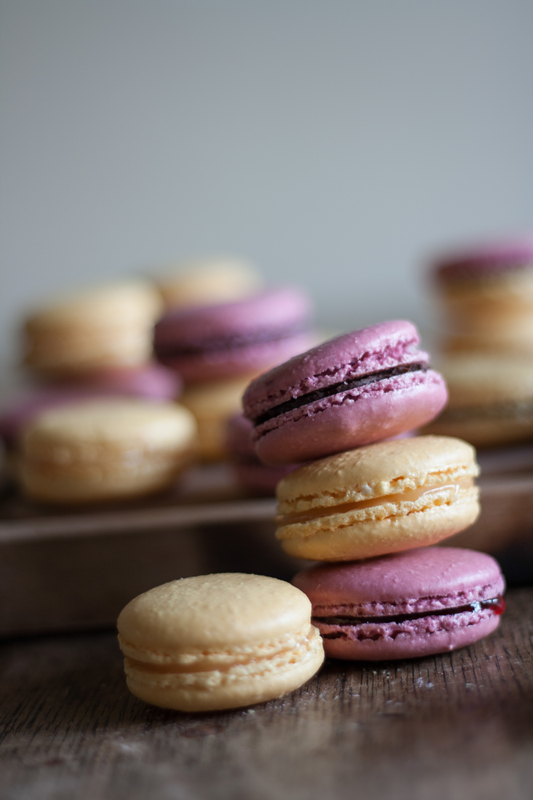 Rather than chocolate for Easter, my sister booked us in to a beginner macaron making course at Super Cute Macarons. The South London cafe and cookery school is run by Singapore-born, Loretta Liu. 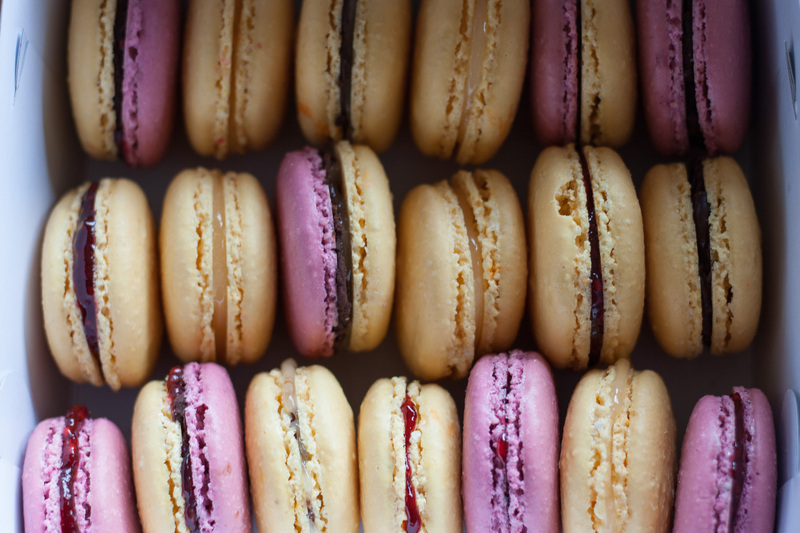 Liu supplies macarons to high-end London department store, Harvey Nicols, so we knew we would be in for something special. We arrived to the little classroom and took our places along with 14 others at our work stations and after a few short words of wisdom from Liu, “Macarons are very temperamental”, “You will need to practice, practice, practice”, suitably intimidated, we began beating our egg whites. We were using the French meringue method, which relies heavily on getting the right stiffness in the egg whites, and then being careful not to beat all this air out when folding in the dry ingredients. This is where the practice comes in. It takes a lot of trial and error to understand what works and what doesn’t. Luckily we had Liu’s professional eye to help us check on the beaten eggs and stop us before we over mixed and lost all the “bubbles in our bath”. Liu likened the precious and all so important air bubbles in the meringue mix to bubbles in a bath. If you churn them up too much, they’ll be gone, and nothing you can do will revive them. She also advised you must respect and compromise with your oven, as you do your partner. 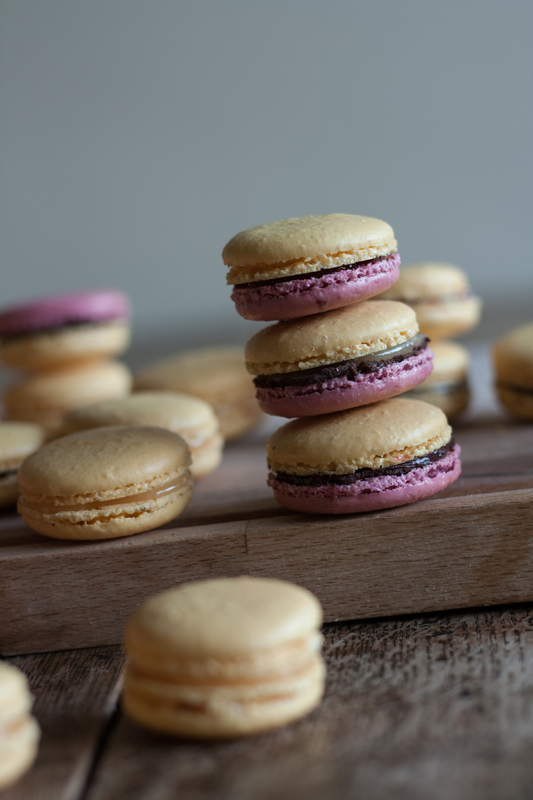 How well you know your oven, will determine how well your macarons turn out. So, you have to accept your ovens quirks and work with them, not against them. Liu has a very direct way of getting her point across. The point being that, for aomething with just three ingredients, egg white, sugar and ground almonds, there is a lot that can go wrong. But for our first attempts, everyone took home something pretty and edible. 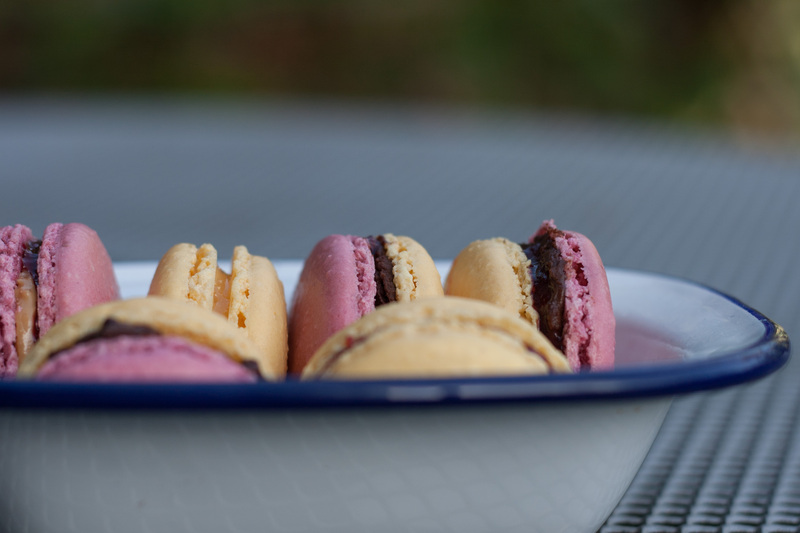 Claire and I filled our macaron shells with chocolate ganache, lemon curd and raspberry compôte. Oh and we also experimented with peanut butter and soft feta cheese that we had in the fridge, both were surprisingly good. I will definitely be trying again (and again, and again….) at home, I still dream about the rose one I had in Paris. 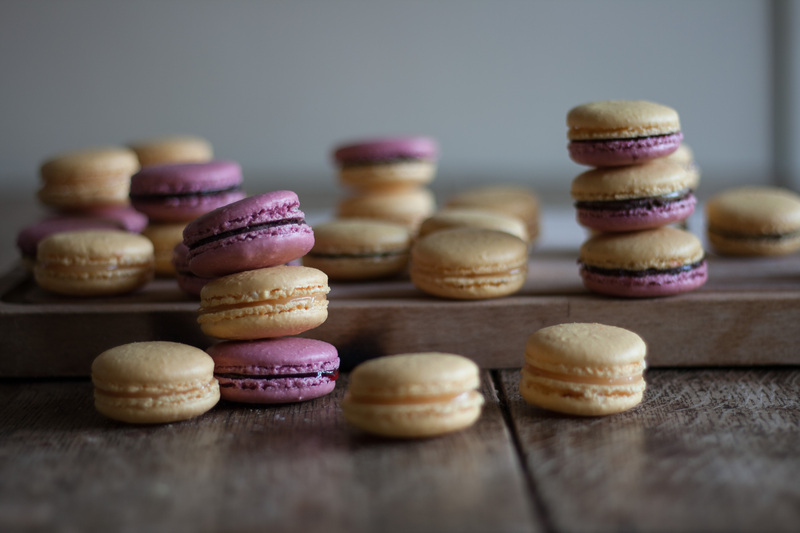 This entry was posted in 27 while 27..... and tagged Easter feast, French Macarons, London baking classes, macaron making classes, macarons, Super Cute Macarons by andieinspired. Bookmark the permalink. Cheers Lee! Yes, I love Paul, I pop into the Highbury and Islignton branch waaaay too often. 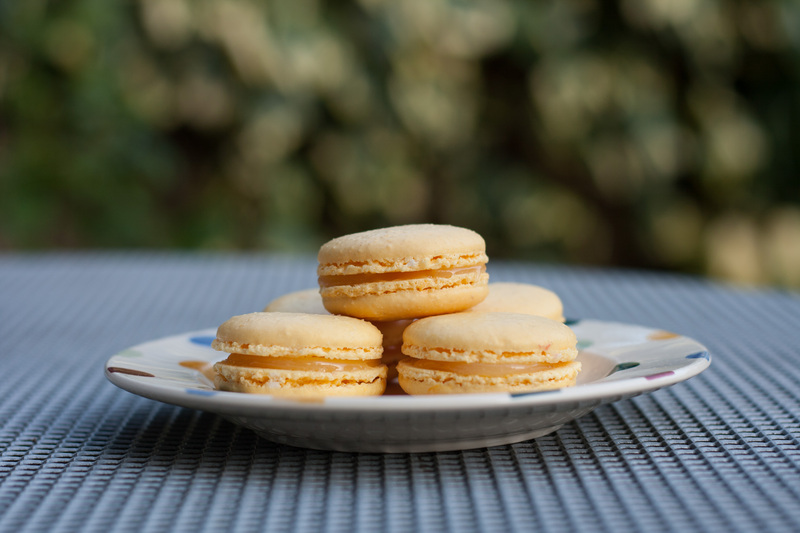 Hmm delicious – defs good enough to eat – keep practising and tell Claire to as well!